I’ve set about the task of growing herbs in my balcony with a stubborn determination which is not entirely typical of me. Mind you, gardening for me is an undertaking that requires nothing short of the stubbornest of determinations because despite my best efforts, I seem to fail miserably at growing anything. Anything apart from mould in bowls of questionable things in my fridge, that is. Of course like all other products of my generation, I blame my mother entirely for this particular deficiency. She once told me that when she was a child, she planted some seedlings and rushed out excitedly the next day to pull them out of the soil to check if the roots were growing. Needless to say there was not much of anything growing after that. As luck would have it, Dad is actually quite a competent gardener and I can almost forgive him for not passing on the gene as he keeps me adequately supplied with whatever is flourishing in their garden. So while the basil languishes in our balcony and the dill shrivels pathetically next to it, my parents’ garden has a curry leaf tree that has reached alarming heights, chilli plants that frequently sprout their spicy red fruit and a lemon tree that produces impressive numbers of citrusy goodness every winter. When my parents handed over a bag of the aforementioned lemons, it was immediately clear to me that I would not be able to use all of the fruit before they dried up to half of their juicy selves. Following this was the thought that this would be the perfect opportunity to try my hand at making lemon curd. That’s right, for the first time! Surprising as I have always found the sweet, creamy tang of lemon curd at once delightful and refreshing. 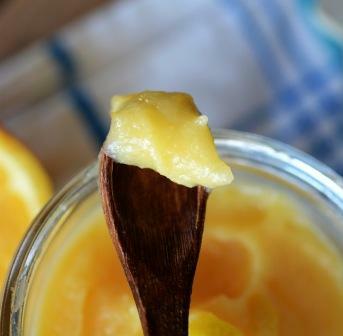 I then decided that one first wasn’t enough for the day and decided to make a fructose-free version of said lemon curd. This version uses dextrose, which is a glucose powder. It is slightly less sweet than regular lemon curd but I found it sweet enough. You could probably add a little more dextrose if you wanted to. 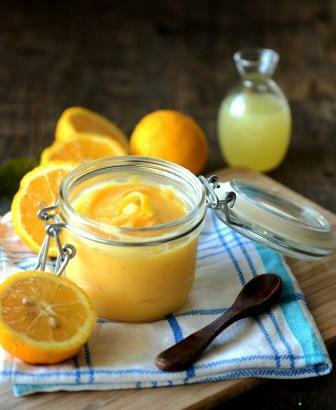 You can use lemon curd for lots of things- tarts, lemon meringue pie, cake. Or just spread it on toast. 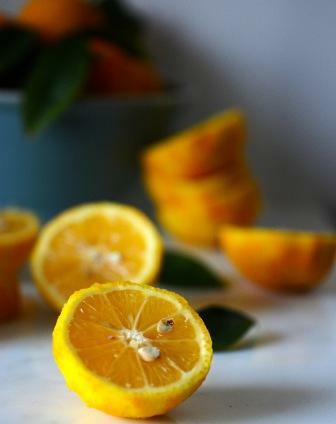 I am planning more lemon curd related posts in the future so stay with me fellow citrus-lovers. 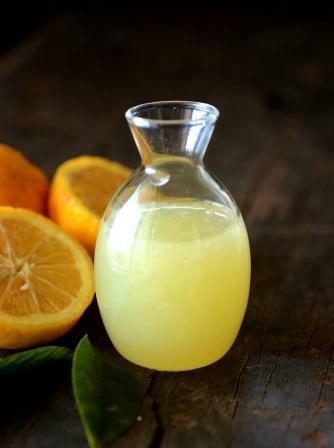 So what are your favourite ways to use lemon or other fruit curds? I would love to hear your ideas in the comments section. Beat the eggs and place in the heatproof top bowl of a double boiler or Bain Marie. I used a large thick walled ceramic bowl. Ensure the water in the lower vessel is not touching the bowl at the top. Add the other ingredients and cook on moderate heat for 17-20mins, stirring every few mins. Stop cooking when the mixture is the consistency of a thick custard. Allow to cool for a few mins, then place in the fridge to speed up the cooling process. Place into a sterilised jar and in the fridge. Mine lasted a few days in the fridge. To sterilise glass jars, wash with soap and hot water and place the jars and lids upturned on a baking tray in a preheated oven at 160 C for 20 mins. If fructose-free is not your thing, replace the dextrose with the same amount of caster sugar. this is beautiful. i also whipped up a quick batch a few days ago.yummo! Ahhh great minds think alike. Thanks muchly! Gorgeous photo Deepa! I think you have saved you images too small and compressed too much. Try save a bigger image with better quality, let the food speaks for itself!!! Thanks Billy- for the kind words and advice! I just get my picture manager thingy to compress it to the web but I will look into compressing it to a larger size in photoshop if that is what you suggest. 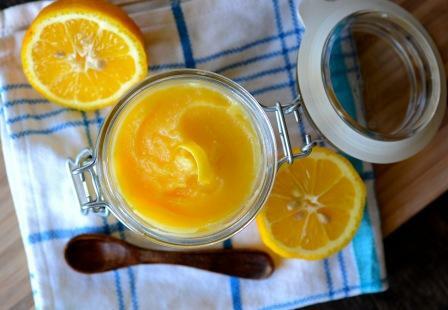 love the color on that lemon curd!! so yummy.. I’ve never made any but I love lemon curd filled tarts !! Also love lemon bars – not sure if the recipe uses lemon curd though?! Makes me feel like summer again!!!! Love your photos. I also know how you feel with your dad – my mom’s a horticulturist, but I never got that gene. Beautiful colour on the lemon curd! Thanks Tammi! Yeah, pity we can’t chose what genes we get. Thanks Jenna, I love it too. Checked out the other link and it looks great- amazing how similar the styling is! !